PAS is proud to announce our Hall of Fame Class of 2018: Mitchell Peters, Joe Porcaro, and Richard Weiner. The Hall of Fame Induction Ceremony will be held Thursday, November 15, 2018 before the PASIC Thursday Evening Concert. Participate in the PAS Mock Audition, Symphonic Labs, Marimba Masterclass and Drum Circle Facilitation Workshop! Deadline to apply is October 12, 2018. Must be pre-registered for PASIC to take advantage of these FREE valuable interactive experiences. 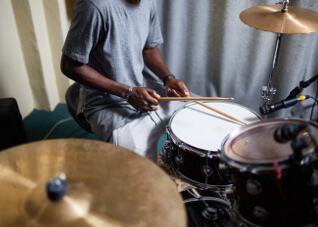 The Percussive Arts Society is pleased to announce the 2019 Executive Committee, to go into effect January 1, 2019. Chris Hanning, Michael Burritt, Sarah Hagan, Julie Davila, Thad Anderson, Brian Zator.